When you’re in the mood for a snack, there isn’t anything much better than a good dip! I love all kinds of dips. Dips with crackers. Dips with chips. Dips, dips, dips! YUM! 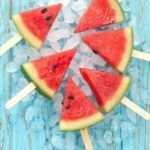 My husband is the ultimate snacker and could snack the day away. So, one night when I had to make a quick run to the store, I grabbed some fiesta dip in the deli. It was so good! I thought for sure it was some secret recipe and kept picking it up each time I was at the store for about $4 for a tiny container. 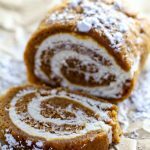 I decided I could make it at home for much less and started searching for the recipe but every recipe I came up with, I was sure it wasn’t it! So, I just went into the store and asked the deli clerk how to make it and THIS is the exact recipe. MUCH easier than I thought! 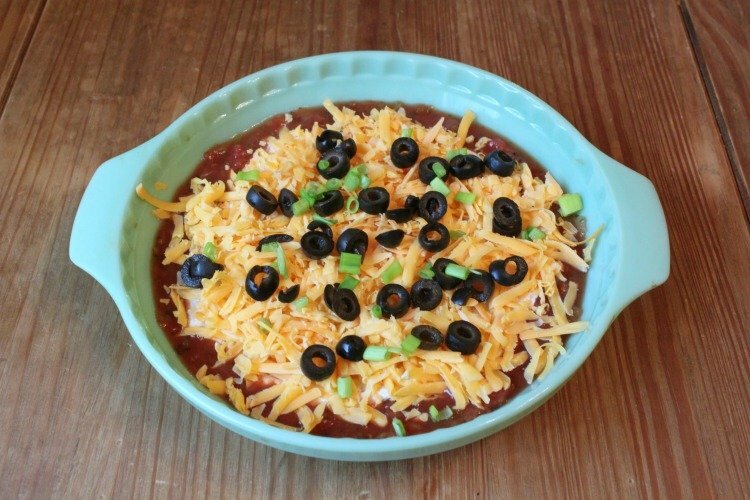 Just layer in salsa, sour cream mixed with taco seasoning, shredded cheese and top off with olives and green onions. OH so good! 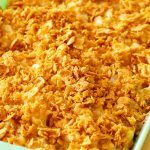 You can make a larger dish by just doubling the recipe I have below, but I like smaller portions so that it doesn’t get watery – which it tends to do overnight. But, if you don’t eat it right away and it does do that – it tastes just fine! No harm done! Just grab some chips and dig or dip in! 1 Cup Shredded Cheddar Cheese I like to grate my own! In a small bowl, combine sour cream and taco seasoning. Mix well. In a 8x8 dish or pie plate, layer ingredients in order given above. Refrigerate for 1 hour before eating. But if you can't wait, dig in! 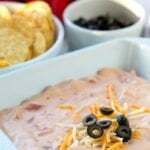 Check out this Fiesta Dip for a delicious, easy and affordable snack! I know that you’re gonna love it! 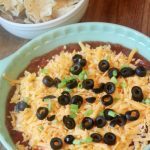 What is the number of servings for the Easy 4-Layer Fiesta Dip. Can’t wait to try it.